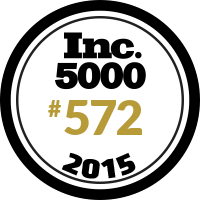 For the second year in a row, IQ Formulations of Tamarac, Florida, was named one of the 5000 fastest growing private companies in the country by Inc. Magazine. After five years of experiencing explosive growth and creating dozens of jobs in South Florida, IQ Formulations is proud to receive this recognition as it looks ahead to continued expansion. This prestigious award and our incredible growth are true testaments to the fact that customers love our commitment to producing and delivering top-quality products that enhance and improve people’s lives. IQ Formulations, a top national health and nutritional supplement company based in South Florida, today was named one of the fastest growing private companies in the United States by Inc. Magazine, ranking at 572 nationally. Continuing its rapid expansion, IQ Formulations grew by more than 800 percent over the past three years and was named to the renowned Inc. 5000 list for the second consecutive year. Headquartered in Tamarac, Florida, IQ Formulations grew its revenues of $1.2 million in 2011 to nearly $11 million in 2014. When the company was founded in 2010 it did just $150,000 in revenue before growing by an astounding 5,486% to achieve 2013 revenues of $8.3 million. In addition to its exponential revenue growth over the recent years, the innovative company has created dozens of jobs in South Florida. It expects to continue adding to its workforce as demand for its top-quality products soars. Born and raised in South Florida, IQ Formulations CEO Jay Cohen is deeply dedicated to the region and he strongly believes in giving back to the community. For years, IQ Formulations has made generous charitable contributions to a variety of local organizations and other national non-profits. IQ Formulations CEO Jay Cohen will be formally honored by Inc. Magazine in October at an awards ceremony in Orlando, Florida. IQ Formulations is one of the most highly regarded and fastest growing health and nutritional supplement companies in the U.S. Founded by industry veteran and IQ Formulations CEO Jay Cohen, IQ Formulations is headquartered in Tamarac, Florida. The company has become an industry leader known for its uncompromising commitment to professional facilities, top-quality products with amazing results, and superior customer service. Learn more at iqformulations.com.